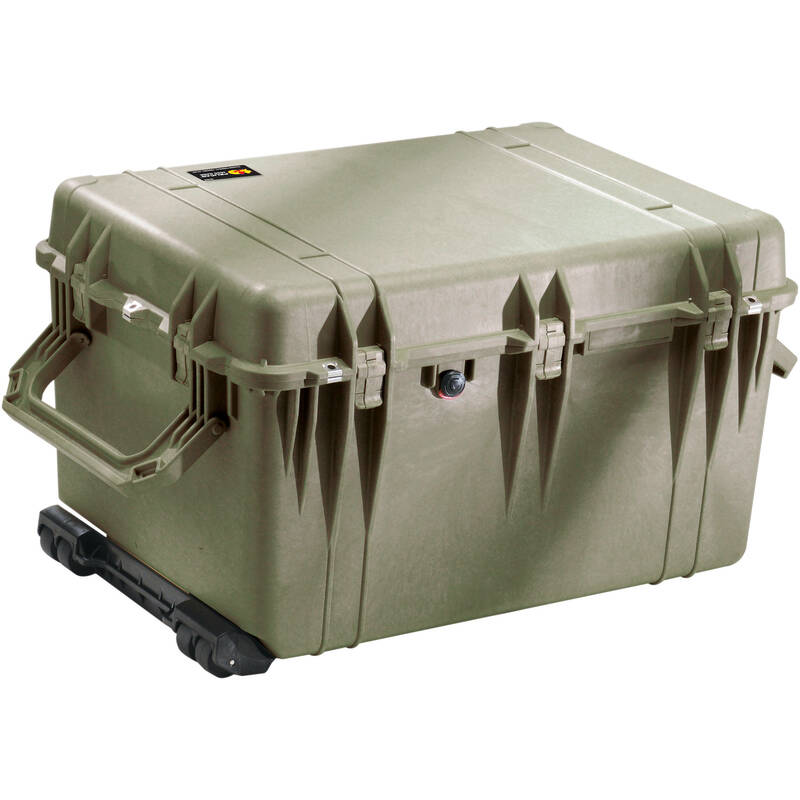 The olive drab Pelican 1660NF Case Without Foam is an unbreakable, watertight, airtight, dustproof, chemical resistant and corrosion proof hard case that can be used to carry any kind of equipment that needs to be protected from the elements. It is made of Ultra High Impact structural copolymer that makes it strong and durable. It has a 0.25" (6.4 mm) neoprene O-ring, ABS latches that seal perfectly and an automatic purge valve for quick equalization after changes in atmospheric pressure. The 1660NF comes with large two-person side haul handles, a fold down top handle, a retractable extension handle and our strong, built-in polyurethane wheels with stainless steel bearings. It has an effortless release latch for the extension handle. The padlock protectors provide added strength and extra security against cutting and theft. Box Dimensions (LxWxH) 33.0 x 23.05 x 20.0"
1660NF Case Without Foam (Olive Drab Green) is rated 5.0 out of 5 by 1. Rated 5 out of 5 by Producer708 from Good case Love the case. It's strong, sturdy and can take a beating. I would definitely recommend.